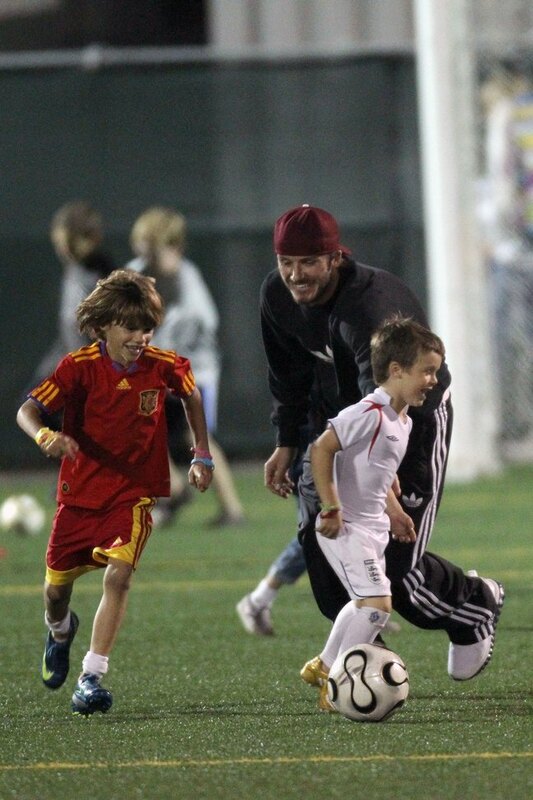 David Beckham spent the day at the soccer field on Saturday. 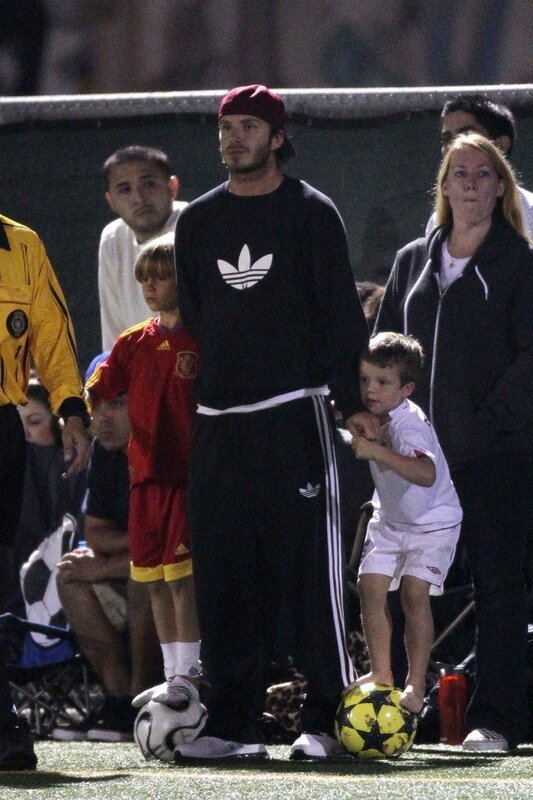 After arriving home after a week in Pittsburgh on Saturday morning, David spent the evening at Brooklyn's, 11, soccer game. 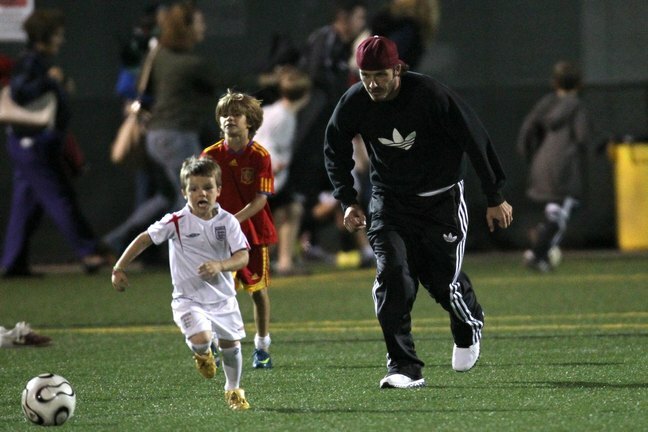 David and his youngest sons, Romeo 8, and Cruz, 5, stood on the sidelines cheering him on. Before the game and during half-time they were photographed on the field horsing around. David was a good sport and even posed for photographs with the members of the opposing team.